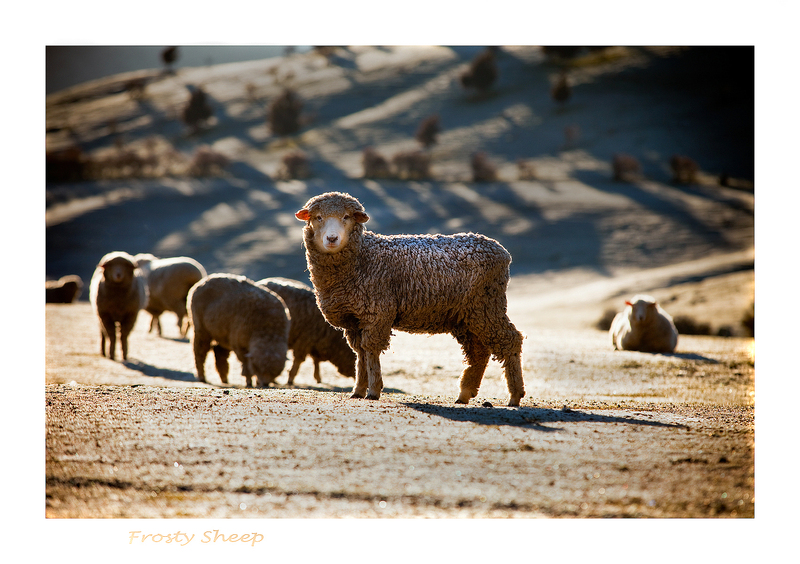 Another shot from a cold (-6) frosty morning in Arrowtown NZ. These sheep were trying hard to get a little to eat and waiting patiently for the warm sun to take effect. After having a look at Neil’s latest I thought I’d throw this one up with sheep in it , as that seems to be the prerequisite to a farmland scene according to some. Not sure why because beach shots don’t seem to need fish in the scene. Anyway Fletch seems to have this thing about sheep and lambs so maybe this is one he will approve of. Could it be that he has Kiwi blood in him somewhere along the line Hmmmm ?